Have you already worked to implement the digital thread in your own business? If so, we want to hear from you. Please share your experiences (successful or not) with us. What challenges did you face when implementing the digital thread? Why did you choose to implement the digital thread? What were your positive and negatives experiences with the implementation process and the resulting effects on your product lifecycle? 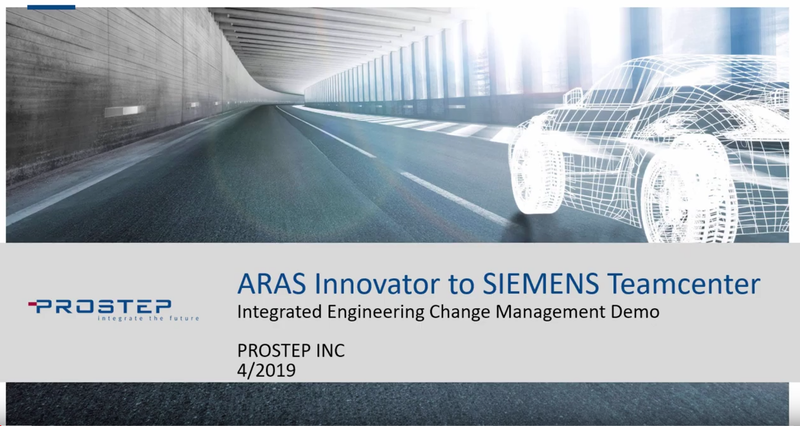 View how PROSTEP’s OpenPDM provides PLM Integration with ARAS Innovator PLM and SIEMENS Teamcenter PLM for engineering change management. How does the engineering change request from ARENA PLM affect other systems within product development? Watch the demo video outlining ARENA PLM with SAP ERP integration. The PLM consulting and solutions company PROSTEP is sponsoring this year’s COMPIT (http://www.compit.info), which will take place from 25 to 27 March 2019 in Tullamore, Ireland. In addition, the CAD and PLM integration specialist will give a lecture at the international conference on Computer Applications and Information Technology in the Maritime Industry. The central topic will be the new NAPA-AVEVA interface and the associated improved possibilities it offers for the continuous integration of data and processes in shipbuilding. In the course of digitization, companies are increasingly working with changing partners in development and service together. CONTACT Software and PROSTEP are now providing new collaboration solutions for such networks. What is an ECO – engineering change order? ECO Manufacturing needs an effective Engineering Change Order process for your organization. Here’s how to do it. What is a bill of materials (BOM) in engineering? How can you view a BOM in 3D PDF? What advantages does a BOM 3D PDF have? Download a BOM Example and Template. PROSTEP, one of the leading PLM consulting and software houses and PLM vendor PTC are stepping up their collaboration involving the integration of the digital and physical product worlds. PROSTEP has developed three preconfigured OpenPDM CONNECT solutions for connecting PTC’s IoT platform ThingWorx to the PLM systems 3D EXPERIENCE, Teamcenter and SAP PLM on the basis of its OpenPDM technology. The solutions enable digital product information to be linked with the operating data of the real product, which converge on the IoT platform. PROSTEP will also support the new ThingWorx Orchestration integration framework, which is slated for launch at the end of the year together with ThingWorx Release 8.4. How do you ensure a successful PLM ERP Integration? Organizations rely on numerous systems for success. PLM might be your main system, but it isn’t the only system critical to your engineering value chain. Because your data spans numerous systems, you need a solid solution for synchronization across all domains. The “plug and play” method of connecting systems may be well known, but in reality it is far from effective. As products become increasingly complex, integrations become increasingly difficult. Your organization may have completely customized PLM, in which case you will need to integrate numerous components.